Moments before she is born, an old wise woman speaks aloud words that will shape Guinevere's life. Though she would grow to be the greatest lady of the land, she would betray her king and be herself betrayed. 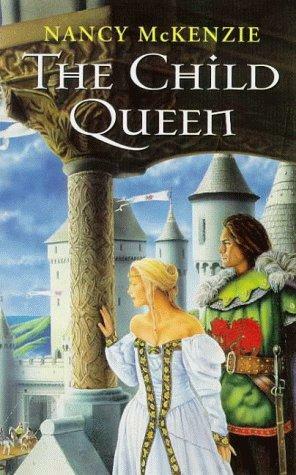 Basically, if you know the legend of Arthur, Lancelot and Guinevere, then you already have a pretty good idea of what's going on in this book. The challenge for any writer who wades into the waters of the Arthurian legend is to make their story appealing and fresh, offer up some twist to make their story stand apart from all the others. To confess, I'd read this book once before, years ago. I just recently found the sequel and was about to read it when I realized I had no idea what had happened in this book. So, while I enjoyed the book, I guess it didn't really have that stand out quality that lets you remember a story years after you've first read it. Truthfully, I think this story serves as mainly a set up for the other books that follow. We're introduced to most of the characters, learn the desires of many of them, and it sets the groundwork for what could, potentially be, a very satisfying conclusion. This book does have some flaws, though. One is some atrocious editing work. Misplaced quotation marks, the sentences of two different people merged together as one, it detracts from the experience. I hate having mistakes in my books. Another flaw is a pretty glaring contradiction in Morgause's history. In one chapter she is Lot's wife, pleading with her father, Uther, to name her husband heir. In the next, she is unwed, only betrothed to Lot, as she seduces Arthur moments before he learns the truth of his birth. Now, I am a proud Canadian, and always will be, but I do have Irish ancestors and am very proud of that as well. Which is why it bothered me when an Irish princeling tells Guinevere he wishes Ireland was as civilized as Britain. It's insulting. Ridiculous. Grr. I think that Guinevere can be a hard character to write. It's so easy to make her a Mary Sue. It's easy to have all the men love her, to have her be a wise advisor to Arthur, to excel and riding and hunting. It's hard to write a likable, believable Guinevere. I think Nancy McKenzie did a good job, even if Guinevere got a little shrewish near the end. I hope it continues.